New zip coat that I wore as a top. It's light too although judging the square-edge shape and structured form would be otherwise. This coat is heaven sent. I was looking for a basic bomber jacket in white ( no collars and lapels please) that I can wear with basically anything and it is, enswathe in my body. Just enough to be shielded from the sun and provide an interesting form. 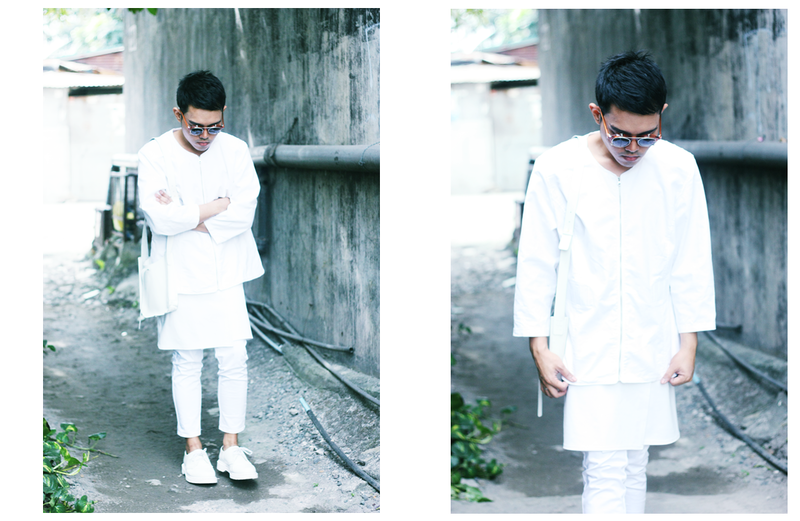 If summer is tempting you to wear colors and neon, I dare you to wear white instead. I'm in love with the all white dr.martens! Stunning outfit. 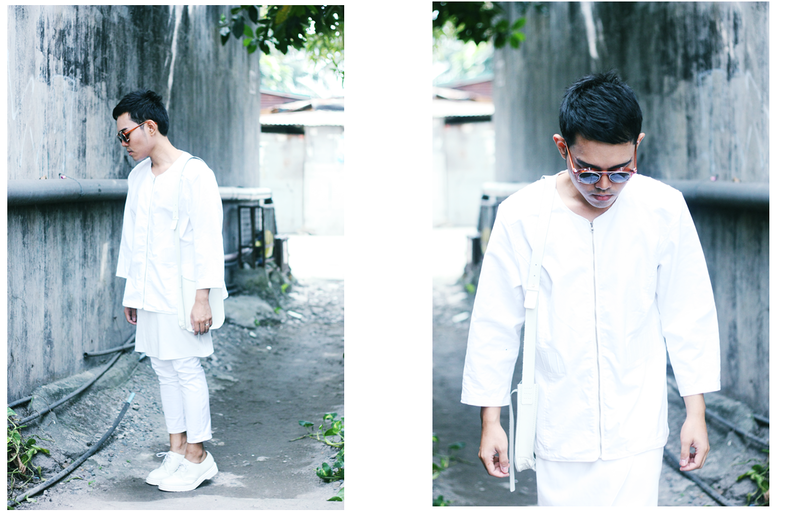 Love the way you wear all white, and I'd want to tell you that you guys have an amazing blog there - awesome style and pictures! 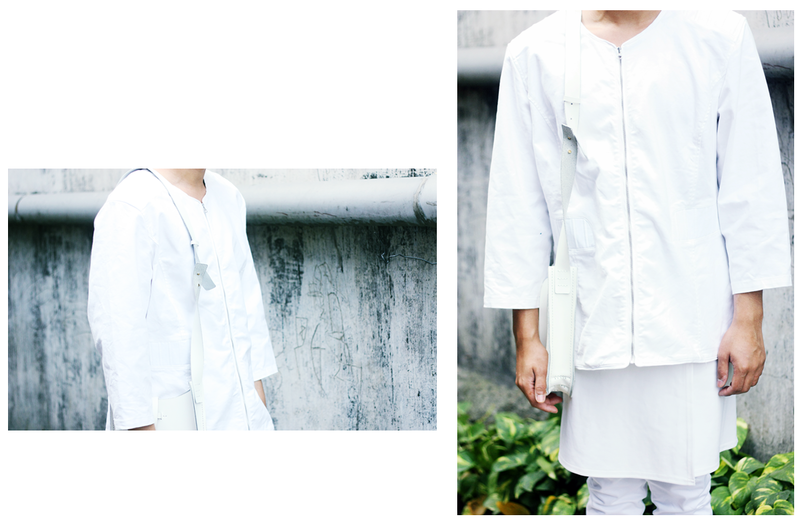 Lovely total white , so cool !!! 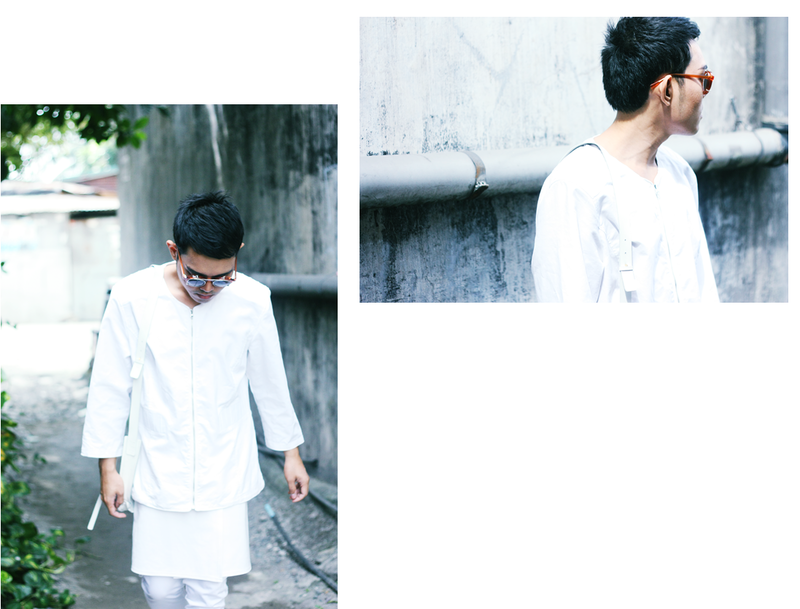 I'm falling in love with your white outfit! Seriously amazing, it's such a crisp outfit. So glad you commented on my blog so I could come across yours!